Fellow Stones freaks have no doubt crawled youtube and the net for gems like the video (after the jump) of the band ripping “Happy” during the 1972 Exile On Main Street tour. I wasn’t born yet, so catching Ladies and Gentlemen: The Rolling Stones last week at Regal Cinemas in downtown L.A. was about as close as one can get without having been there. Capturing the band in the midst of the Exile tour, the film is a raucous document of the band at the top of their live game (and a must-see on the big screen if showing in your town). The film will be released on DVD/Blu-Ray on October 12, 2010. Supplements to the concert footage will include your rehearsal footage from Montreux, a 1972 Old Grey Whistle Test interview with Mick Jagger, and a 2010 interview with Jagger. 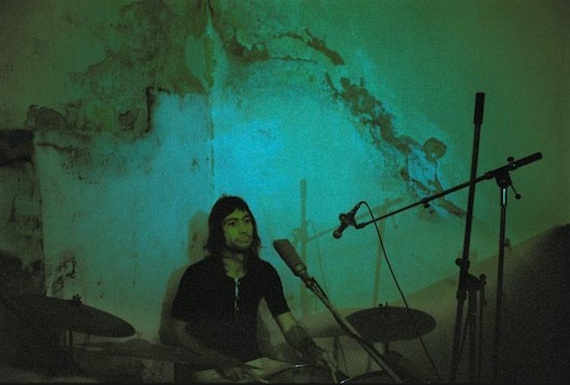 The above photo, of Charlie Watts, was taken in the basement of Villa Nellcî´te recording drums for Exile in 1971. Great collection of Dominique Tarlé’s images from Nellcî´te at the Stones website.